We write this post in the wake of the “Eaten Alive” episode that aired last night in the U.S., on the Discovery Channel. We have struggled to determine what – if anything, we should say about it. We made several predictions when the show was first announced, about what would happen, and from what we have gathered, pretty much all of them were spot on. We also mentioned several weeks ago, that we would not be watching the episode or any future shows on the Discovery Channel. The network has been blocked on all of our televisions, so we expect our intelligent audience to question how we can even formulate opinions or educated evaluations of the show. Well, as you know, the feedback from others, has been loud and far-reaching. Our news feed and Twitter feed are swarming with discussions, tirades and frustrations from both sides of the fence. We have read these tweets, posts, articles, and statuses, and will proceed in hopes that we have correctly understood what did happen. If we have missed something, or if we are off-base in any way, we encourage you to speak up. Honestly, we do not know if our voice will even be heard amidst the ubiquitous controversy, but there are three words that we write in every SnakeBuddies post that we stand behind, and we therefore feel it would be a mistake to remain silent. “Educate. Inspire. Conserve.” That is our mission statement. We openly present ourselves as educators and conservationists. We can’t very well teach anything with closed mouths, and our silence would only force our audience to guess as to what our stance is on this occurence, or how we propose to personally have any impact on preservation. So here it is…. 1. They will not find a snake in the wild big enough to swallow a man whole, and certainly won’t find anything close to the 30 feet long they were advertising. 2. Discovery Chanel will resort to inciting fear for the sake of ratings. 3. 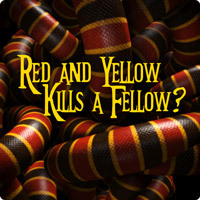 The episode will perpetuate longstanding phobias that will further harm snakes. 3. The animal will be harassed, exposed to unnecessary stress, and will waste a significant amount of energy participating in a stunt that will not result in a meal. 4. 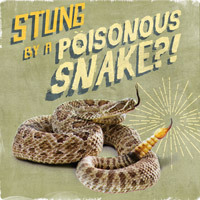 If swallowed (even partially), the forced regurgitation of the man will result in at least minor injury to the snake. 5. 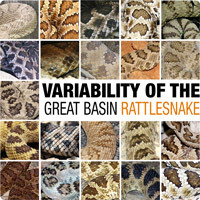 The content of this episode will not provide any valuable education for the audience, that will allow them to better understand snakes and be better prepared for unintentional human/snake interactions. 6. The episode will not represent a realistic scenario in any way. So before instantly condemning the network and the people involved, we feel it is only fair to first point out that we never predicted that they would attempt to use this event to promote conservation. This information came out weeks after the advertising for the show first aired, so we have no idea if these efforts were always a part of the spectacle, or if it was simply a response to the copious negative feedback directed their way after the announcement. Regardless, we were at least pleasantly surprised that the effort was made. 1. 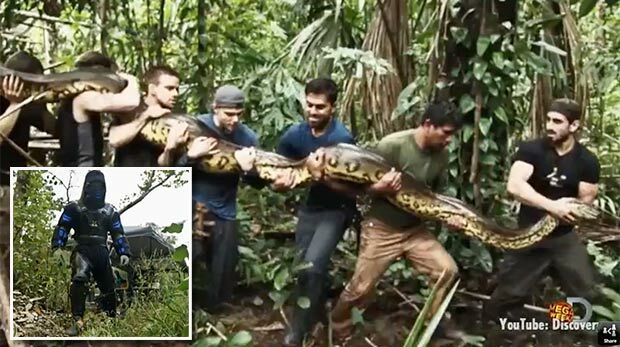 They did not find a snake big enough for the stunt. It was under 20 feet long, and in fact, the snake was not wild at all. It was a large, captive animal, planted specifically in a landscape that would prove optimal for capturing their desired footage. 2. It was all hype. From the purposely vague interviews, to the discernible footage in the commercials, to the many blatant lies told by the Discovery Channel. Even the title, “Eaten Alive”, was completely misleading and fictitious. 3. This is the biggest deal to us. They did their level best to captivate an audience by preying on the average human’s fear of snakes. There may be a handful of people who walked away thinking, “Wow! I am glad I finally know that I’m not really on the menu for big snakes.” However, how many phobia-stricken people simply heard words like “attack, swallow, constrict, kill, eat, and bite” in conjunction with manipulated dialogue, acting and footage, to sell it as a real possibility? The few that got something positive out of it, are far outweighed by those that now think their worst fears are substantiated. Discovery Channel, all you did, was make it worse. 4. Here’s the kicker. They constantly advertised “Eaten Alive” and “Swallowed whole”, while continuing to promise that the snake was absolutely not harmed. Well, as expected by many (including us), that is because Rosalie was never swallowed. Had the snake been both big enough to swallow him, and allowed to do so, the Anaconda would have absolutely been injured in the process of forced regurgitation. 5. Certainly this over-the-top, prank of a “documentary” was drizzled with some facts, education, and possibly some dialogue concerning conservation. However, it in no way represented a plausible situation that can be used to help someone in this purely hypothetical situation. 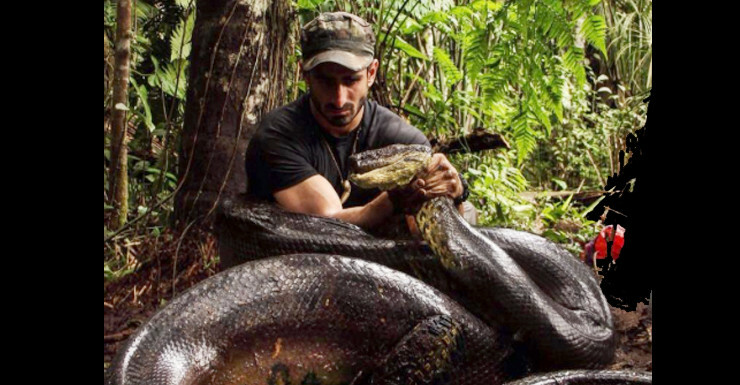 Worse yet, is the fact the main question, “Is man on the menu for the Anaconda?” wasn’t fully answered. Rosalie ended up calling for help, and being rescued from the snake, so now the general public has walked away still thinking that it could happen. 6. The film absolutely did not represent reality in any way. It was intentionally fictitious from the birth of the idea, and executed in exactly the same fashion. We are sorely disappointed and apologetic for what many of you witnessed last night. We have at least a couple of peers that were involved in this film, and though we do not doubt that their intentions were good, the end result did not help our cause. Discovery Channel has one concern, and that is ratings. As much as we want them to fight for conservation, that is not how they make money. Sure, the word conservation was thrown around a few times, and donations to a conservation-oriented charity were made. You might have even helped prove to some people, that an Anaconda can’t swallow a man. These are all good things, but what are the long-term costs associated with these “victories”? How many wives are happy to know that their full-grown husbands might be safe from being consumed by “these monsters”, but not also fearful for their young sons and daughters at the same time? Did the quickened pulses and rising fear of the phobia-stricken observers subside as soon as they witnessed Rosalie call for help, and be physically pried from the giant snake? What was the number of nightmares and bad dreams had by your 30 million viewers after watching your documentary? And lastly, what is the likelihood that fewer people will kill snakes after having seen this show? Of course none of these questions will ever be known or answered, but unless there is overwhelming evidence (and there isn’t) that you helped put a dent in any of these areas, you simply wasted everyone’s time. Despite the many negative aspects to “Eaten Alive”, we ask that you still try to focus on any positive take-aways that you can, as you speak with your friends and family about this show. Help them understand in real terms, what you know to be facts about the Anaconda and other snakes. Refer your peers to valid sources for education concerning snakes, and continue to share the positive, educational content you find. Remember that our fight for conservation is not in vain. We are having an impact, and our efforts are making a difference. This entry was posted in Uncategorized and tagged Discovery Chanel, Eaten Alive. Bookmark the permalink. Thank you for your stance on this. I am appalled the Discovery Channel allowed this. The big hype and no delivery on the tease is “just deserts” for those marketing jackasses. It bothers me since I’m a snake lover. Still people in 2014 have a hate or fear of snakes because of Genesis and other “stories and old wives’ tales.” Ignorance survives in spite of the information age. Astounding! I want to thank you for standing up and speaking out against “Eaten Alive”. I agree with you on every point you made! The Discovery Channel was just trying to capitalize on the fear many have for snakes. I get most of my “entertainment” by following blogs like this and watching fellow “herpers” on YouTube. Thanks again for standing up. We are little voices in comparison with big networks but, together we can make some noise. Great Job! Thanks, Phillip. We appreciate the kind feedback, and we are happy to know that you enjoy our blog. We agree with you, and know that despite being small by comparison to network television, us little guys can still have a positive impact. Keep up the good work, bud? 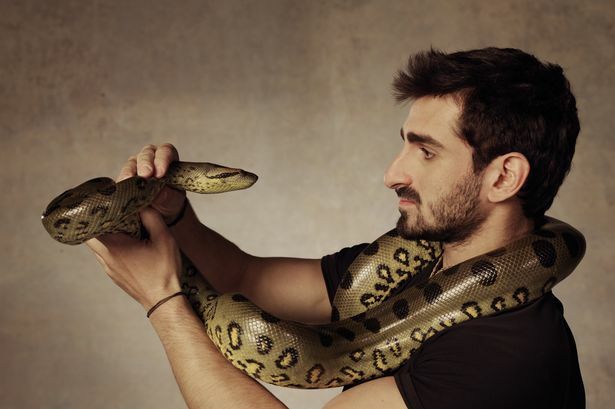 Well, Discovery Networks know how to use Ophidiophobia to make money. They can go to any extend to do “fake” documentaries like “Eaten Alive”. I’m from India, people here who are unaware of Herpetology thinks herping means going here and there and catching snakes. This perception has been built by the so-called documentaries on snakes. We need to build a protest against this, worldwide. No voice is too small, and yes I stand by your views.